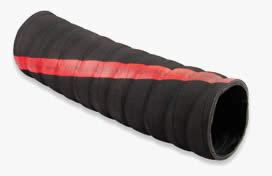 you select the right hose for your special applications. provides protection for the hose from crushing or kicking. flame, wear and other petroleum products. up to B20, ethanol up to E85 and other petroleum products. Working pressure: 250psi or 17.23MPa. Standard: meeting U.S.C.G. and RMA class �� requirements. Length can be custom, but not less than 100 ft.
2" 2-25/32" 100'/200' 500 29 6"
3" 3-59/64" 100'/200' 500 29 9"
-40�H to 180�H (or -40�� to 82.2��). 3" 3-39/64" 100'/200' 300 30 7"
4" 4-23/32" 100'/200' 300 30 10"
smooth to reduce friction force. 1-1/2" 1-61/64" 100'/200' 300 30 5"
2" 2-31/64" 100'/200' 300 30 7.5"
3" 3-19/32" 100'/200' 300 30 16"
4" 4-45/64" 100'/200' 300 30 20"
ranges from -40�H to 180�H (or -40�� to 82.2��). 1-1/2" 1-63/64" 100'/200' 150 30 1.5"
2" 2-15/32" 100'/200' 150 30 2"
1-1/4" 1-43/64" 100'/200' 150 30 4"
1-1/2" 1-59/64" 100'/200' 150 30 6"
2" 2-29/64" 100'/200' 150 30 8"
2-1/2" 2-61/64" 100'/200' 150 30 10"
temperature is -40�H to 180�H (or -40�� to 82.2��).